Discover the history and the legends of the place, surrender to the magic of nature, feel safe to let your children run and play freely away from the city tension. Undoubtedly here they will make new friends, while playing outside until late at night. Swim in the shallow, calm, deep blue waters. Play with your children games in the water or on the sand. Each day a new beach is waiting for you. They are countless, sandy and easily accessible. 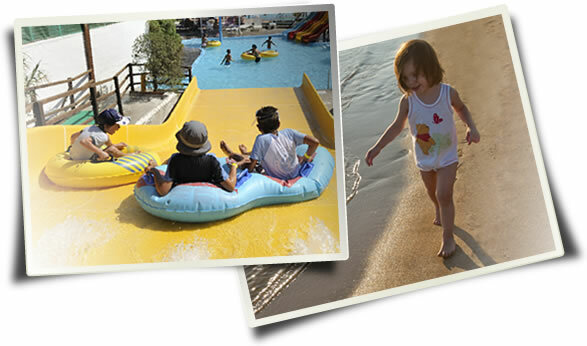 Waterslides, playgrounds, children’s fun activities clubs are interspersed on the island enabling young travelers to enjoy dreamy holidays. Soon after that, pay a visit to one of the island’s well-organized museums. 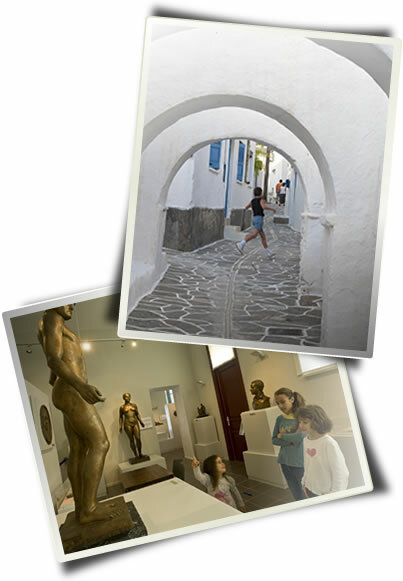 Pick one of your choice and visit it so that your child can obtain a well-rounded perception of the island’s history. Finally, it would be a great idea to visit Paros Environmental and Cultural Park, located at Ai Yiannis Detis in Naousa bay. It is a thematic park covering an 800 stremma area (1 stremma = 1000m2), offering a wide range of alternative activities and 7 Km of walking tracks. Walk in the company of others towards the light house and enjoy a panoramic view of the Aegean Sea. Paros will definitely fascinate…. both parents and children.